Front patch pockets; chest welt pocket. Brunello Cucinelli two-piece suit in plaid. Wool/linen/silk. Made in Italy. 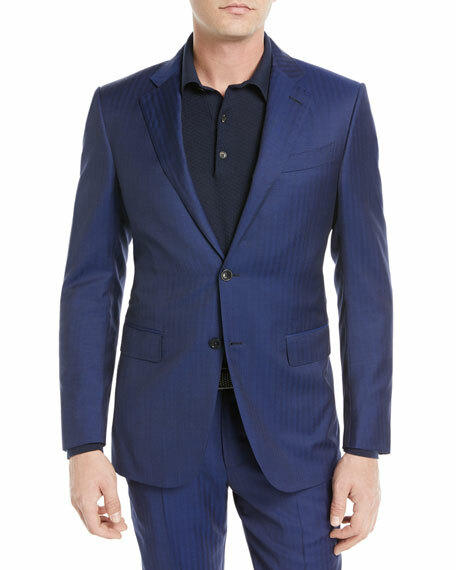 Jacket: Notched collar; two-button front. Basted sleeves. Double-vented back. Pants: Approx. measurements: 10.5" front rise; 37" inseam: 17" leg opening. Side slash pockets; back button-welt pockets. Straight legs. Front zip. 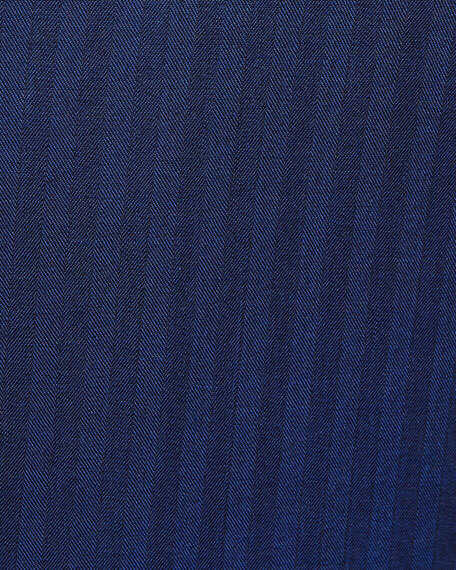 Unfinished hem to be tailored to desired length. Ermenegildo Zegna jersey-knit jogger pants. Side zip pockets; back welt pocket. Elasticized, drawstring band sits at waist. Relaxed rise; slim fit through tapered leg. Ribbed ankle cuffs. Pull-on style. Cotton/polyester. Cotton insert. Leather trim. Imported. 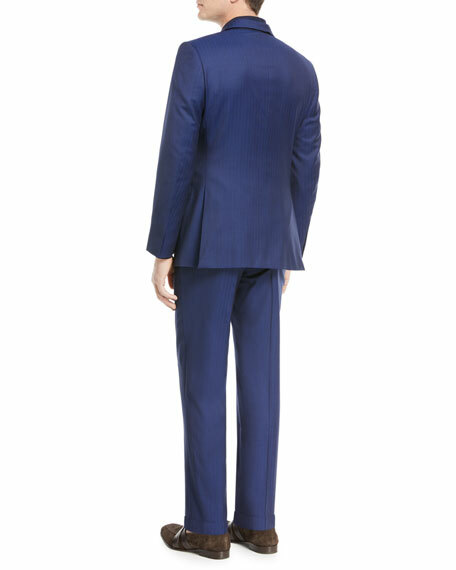 Model's measurements: Height, 6'2"/188cm, Suit 38L, Shirt 15.5x35, Waist 32"/81cm, Inseam 33"/84cm. Ermenegildo Zegna jogger pants with front seam. Wide waistband with drawstring. Side slip pockets; back patch welt pockets. Relaxed fit through tapered legs. Ribbed ankle cuffs. Pull-on style. Wool/silk/cotton; leather details. Made in Italy. 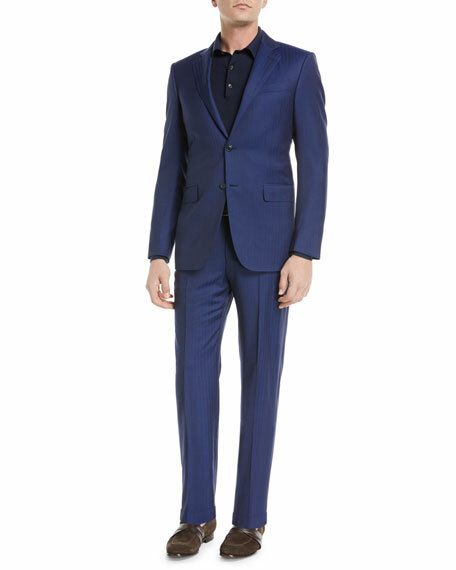 Model's measurements: Height, 6'1"/185cm, waist 32"/81cm, suit 40L, shirt 15x34, inseam 32"/81cm.